Molded trays and padded lid are lined with plush velour. Padded lid and lined in velour. 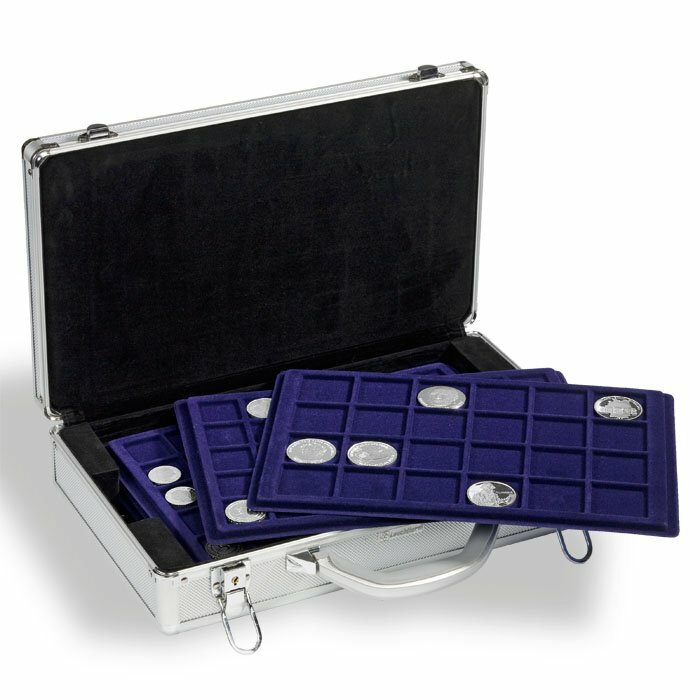 Includes 6 trays for coins up to 47 mm in diameter. 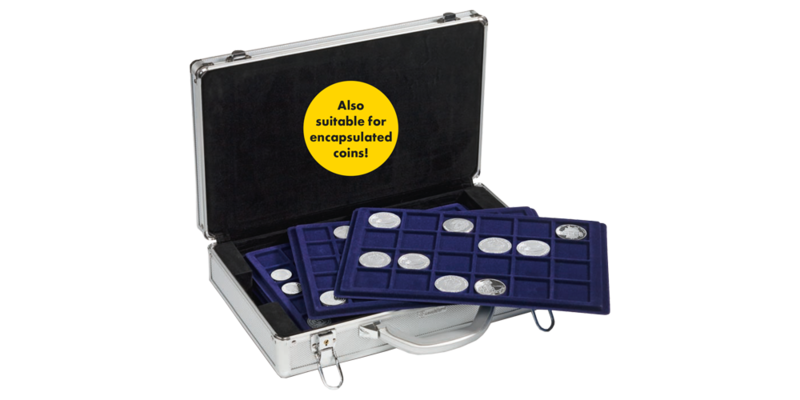 Also suitable for encapsulated coins. 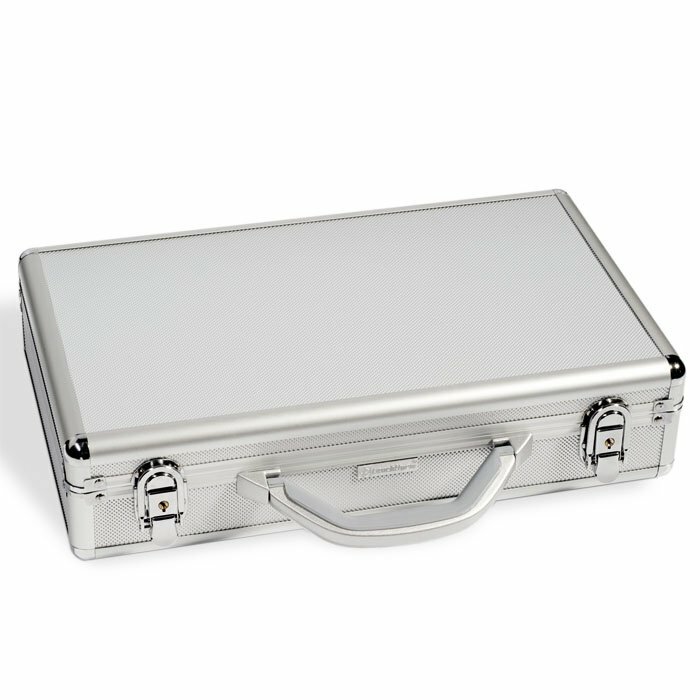 Measures 407 x 95 x 245 mm.